Community will host a nationally televised NHL pre-season game between the Pittsburgh Penguins and Tampa Bay Lightning and receive $150,000 in arena upgrades. NORTHFIELD, Ill. – May 2, 2015 – In partnership with the National Hockey League Players’ Association (NHLPA) and the National Hockey League (NHL®), the inaugural Kraft HockeyvilleTM USA contest captured the nation and ultimately named Johnstown, Pa., as the first-ever “Kraft HockeyvilleTM USA.” Johnstown’s Cambria County War Memorial Arena will receive $150,000 in arena upgrades and the opportunity to host an NHL® Pre-Season Game between the Pittsburgh Penguins® and Tampa Bay Lightning® televised live on NBCSN on September 29, 2015. Johnstown has always celebrated its passion for hockey, even serving as inspiration for the popular hockey movie “Slap Shot.” Rich in hockey heritage, Cambria County War Memorial Arena will use the winning funds to upgrade its ice-making equipment and scoreboard, providing a better game experience for community members. 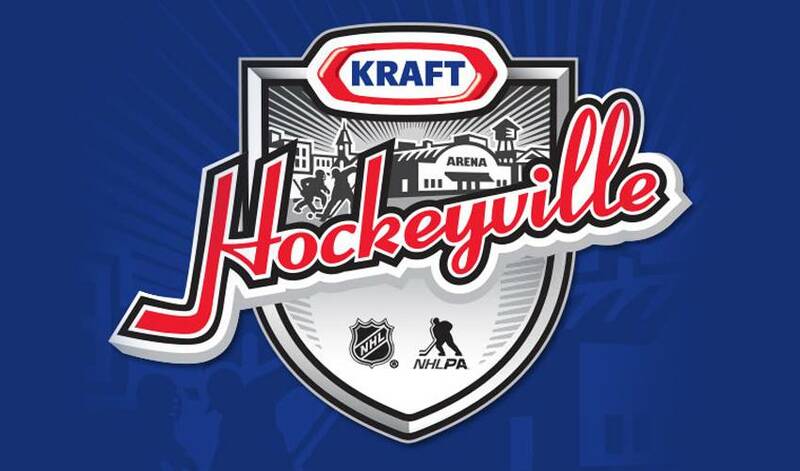 Johnstown was named “Kraft HockeyvilleTM USA” through public voting at www.krafthockeyville.com. Alongside Johnstown, hundreds of other communities across the country submitted thousands of stories showing their hockey spirit and passion. The nine other finalist communities will share $275,000 in arena upgrades from Kraft, including runner-up Decatur Civic Center in Decatur, Ill., receiving $75,000.